Discussion in 'Cases & Case Modding' started by oorah, Sep 30, 2018. 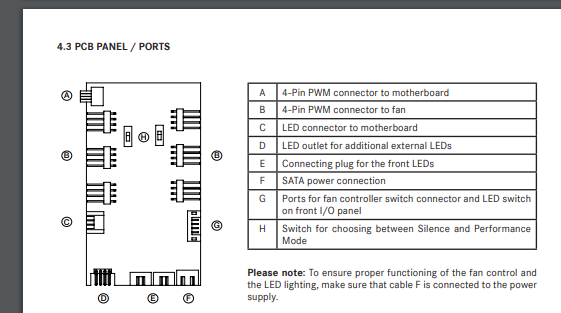 I think I have to connect a weird 3 pin power header to my fan controller in order to get the LEDs working. It is the top left corner of the these pictures. There are three pins, marked 5V, GND, 12V. The manual describes this header (F) as SATA Power header. I am pretty sure that's not a SATA power header, which is a much more complicated animal. 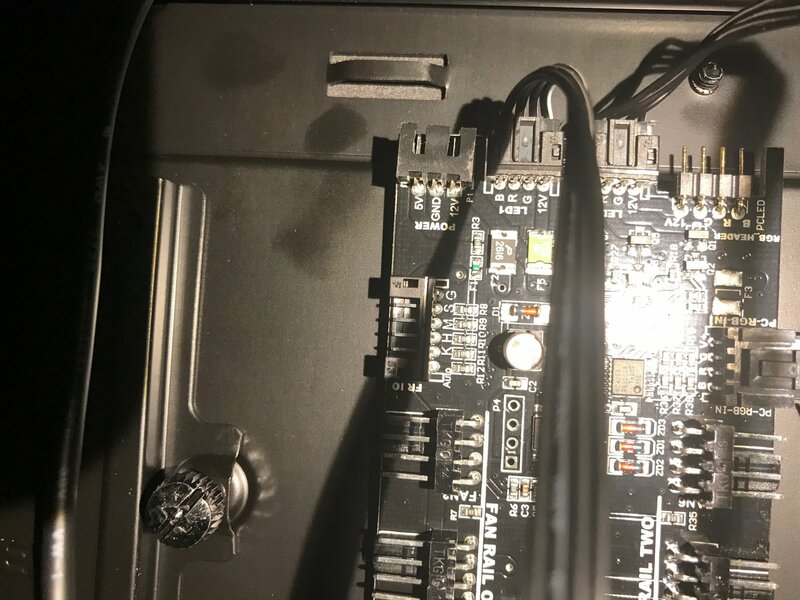 Neither the case, mobo, or PSU seems to come with this power connector, and I can't even figure out what I need to buy. [H]elp much appreciated! 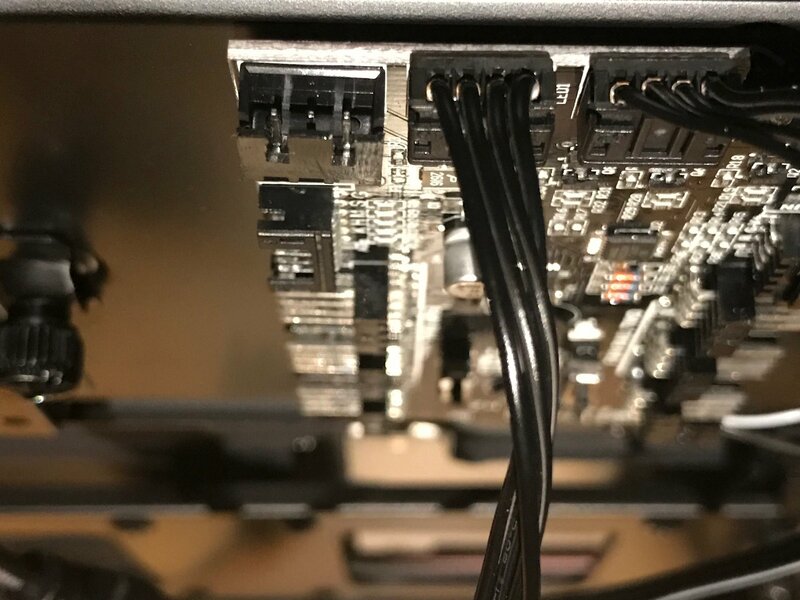 PS: In terms of what to buy, I have an EVGA G3 1000 modular PSU with a whole bunch of 4+4 and 6+2 connectors available, a whole bunch of real SATA power headers available. It woud be nice to get something that lets me connect to one of those. PPS: Either I got a lemon, or be quiet! is overrated. This isn't the only issue I had with the build - there were several others. E.g., One of the mobo tray screws was spinning freely without loosening and I had to twist it out with pliers and toss the screw. probably should have come with a pigtail in the accessories bag. 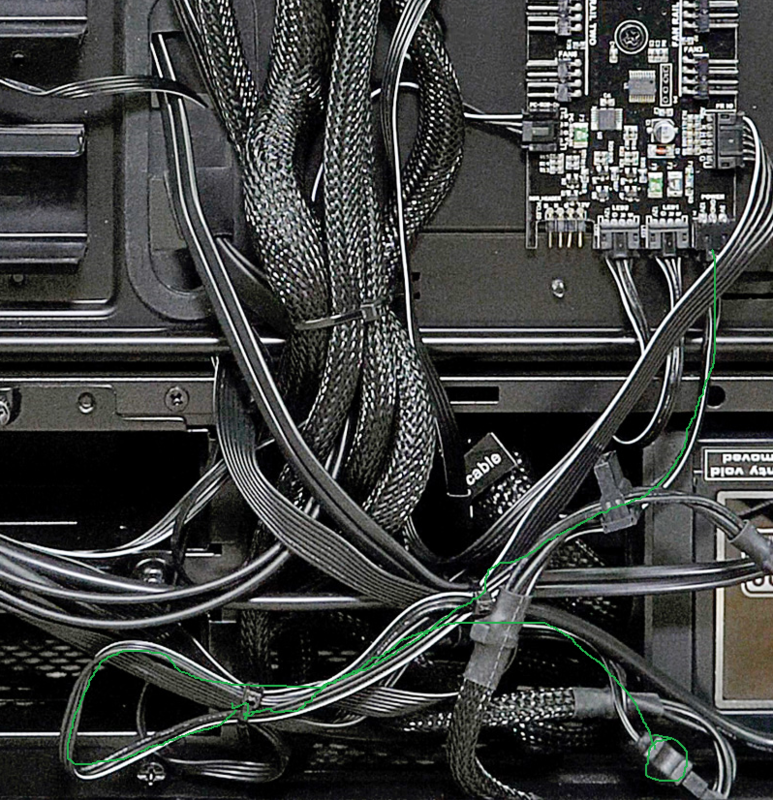 and that cable is for fans to run full power off a sata connector. edit: or go to their site and use their live chat and ask. Y'know what, this one is on me. There was an included Sata -> 3 pin connector in the case, but I removed it early while I was working on the case and set it aside. Just found it now. good stuff. post pics when youre done.